Hyderabad-based Pi Datacenters wants to be the first destination of choice for enterprises in data and cloud services. When working for Intel Corporation for over 15 years, Kalyan Muppaneni, founder and chief executive of Pi Datacenters, was always close to the hardware, digitisation and server market. That was how he developed a passion for back-end infrastructure, an area not many techies would think of for entrepreneurial pursuit, given the complexities involved. The cloud server market has gone to a new level in the past five years. Many enterprises in the US and elsewhere have not only moved to cloud as a first choice but started using commercial data centre services, owing to the complexity involved in data management and its applications. Muppaneni saw a clear opportunity in these when he decided to return to India from the US for a new journey. According to Gartner, the research and advisory entity in information technology, the value of the Indian data centre infrastructure and services market was $2 billion in 2016 and is the fastest growing segment. It will be anywhere between $3.5 billion and $5 billion by 2018, said Mupanneni. When he shared plans about going back to India to establish a data centre entity, four of his friends there instantly backed his decision, with funding commitment. "It was only a discussion over a cup of coffee and we closed the initial angel round with overwhelming subscription, almost triple of what I really needed," he told Business Standard. Having worked for Intel Corporation in California and Arizona on design architecture, among other core tasks, Muppaneni, who has a master's degree in computing from Griffith University, Queensland, indeed comes with a large vision that makes Pi's upcoming enterprise-class data centre in Andhra Pradesh's new capital, Amaravati, look like a hurried step on a course to a big journey. Data storage is one of many applications and functions a data centre can deliver: "A data centre is like your heart pumping transactions, acting as a hub, gathering data from different locations and churning out and giving decisions to other centres instantly. So, it is very important to design a solution that is scalable, that is high performance. It cannot be slow; otherwise, it will crash," Muppaneni explains. On December 15, Pi Datacenters announced it had got a first private equity funding round of Rs 154 crore, led by Epsilon Venture Partners, barely three months ahead of the scheduled commissioning of the data centre. The facility would be a modular, 500,000 sq ft infrastructure with 5,000-rack capacity. When fully commissioned, spread across 10 acres, it will be a tier-four certified facility. The investment required is Rs 600 crore, which the promoters plan to spend in five years as they seek to scale up the infrastructure to the targeted capacity in a gradual manner, based on demand. India has been seeing a surge in data centre investments. In 2016, the who's who of the global IT world, including Microsoft and Amazon, have started investing hundreds of millions of dollars to establish these in India, to offer a variety of services in data management. 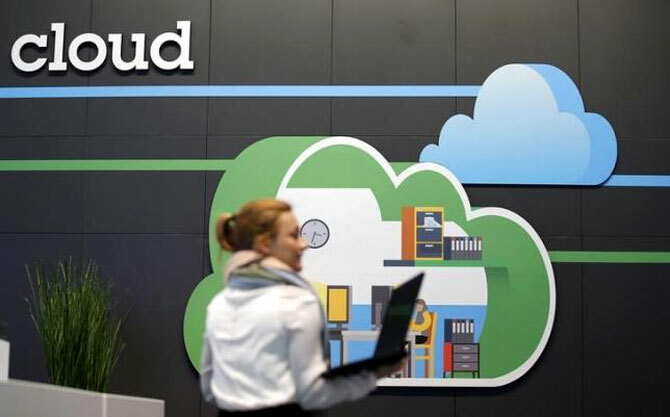 A sizable data centre infrastructure was already created in the country by a number of players such as Tata Telecommunications, CntrlS, Netmagic, Tulip, Sify and GPX Global, among others, as both big and small Indian companies switch to digital data storage practices. Can this challenging, highly capital-intensive and increasingly crowded space, led by big global players, still qualify to be a start-up play? Does it have scope to bring potential 'disruptions' in the data centre architecture or in data storage and management services, so that a new entrant will enjoy a distinct advantage? Muppaneni says it has all this and more. "The fact that every data centre company is doing well in India is a big positive. As the industry itself is in a positive zone, we will obviously get our piece of pie from the market," the Pi founder says. However, Pi Data seeks to build its business on a strong set of differentiators, not simply by going with the flow. It says it is taking a very different approach to the design of the product, doing it in a completely software-defined approach for the cloud. While Muppaneni bets on the potential differentiators that he believes would make Pi Data the first destination of choice for an enterprise looking to host data within India, he points to fast progress in implementation of this facility as early proof of execution capability. In the best case scenario, even for a large enterprise, it would take three or four years to implement such a project in India, according to him. "In a year and a half, we have not only visualised and conceptualised this but done almost 90 per cent of one of the largest DCs in India, while getting the initial wave of customers on board." Mahesh Vaidya, general partner and head of India at Epsilon Venture Partners, believes the team at Pi was the right mix of hard-core technologists and managers with decades of cumulative experience, drawn from companies across the world. "Kalyan and his team at Pi have attained traction in a year that would easily have taken other teams two or more years," he told Business Standard. Some of the differentiators Pi's data centre comes with own software stack to complement the services on hardware stack, use of the latest technologies in Silicon Valley, lower cost of ownership that would help in offering services at competitive rates, a quick break-even in two-three years compared to the sector average of five years and good technology partnerships. Some of the key offering would be different types of cloud services -- based on a completely software-defined cloud, co-location, hosting, disaster recovery and various other back-up services, manger services, NOC (Network Operating Centre) as a service, private cloud and public cloud. According to Muppaneni, there are customers in every segment he's serving, from day one of the data centre launch in Amaravati. After telecom companies and e-commerce smart cities, the internet of things and big data are expected to create large demand for cloud services. "Healthcare in India also has a huge untapped potential, with not even five per cent of patient records digitised," he says. According to Mahesh Vaidya, it is advantageous for a local player with expansive physical presence and efficient teams positioned locally to address the needs of and cater to local businesses. Local players have lower overhead costs and execute data centre services with a quicker time-to-market, he says. "In the long term, there would be a need for global players to partner with local players to deliver data centre and cloud services to local customers. We would see the interest and presence of major players as a validation of the data centre opportunity in India," he told this newspaper. Epsilon expects a return that is comparable in quantum and time frames to any of the other sectors it had invested in. Just as scalability is in-built for cloud services, Pi has created a design architecture which helps in scaling up the capacity in a smooth manner. Adding more DCs is part of this strategy, beside allowing customers a back-up storage as well. Muppaneni says they will be moving to at least two other locations in the next two financial years, which means Pi Data would be building three DCs in three years. "The next time we raise (funds), that would be a very big round for this reason," he said. Expert take by Rajarshi Bhattacharya, country head, Suse India, a pioneer in Linux and open source solutions. Pi is developing its own cloud solutions. What Pi delivers today is next-generation cloud services, powered by an absolute open-stack platform. Cloud service providers today offer much faster response time and greater flexibility to customers. In that sense, the services offered by Pi are at par as those offered by companies like Amazon. The latter, too, built its cloud services around open source technology, one reason for it being very successful in this space. Customers or enterprises in India are looking for greater services from data centre players. Initially, it was about picking rack space and then people started taking infrastructure. Now, they are taking a platform and are looking for software-as-a-service from the data centre. Pi Data has made some wise choices. They have decided to build cloud on a platform which is very open and continuously evolving. That automatically makes Pi competitive. The choice of technology is good. Pi is also moving towards software-defined cloud services, which are infinitely scalable. Through an open-stack platform, it can also seamlessly bridge the public and the private cloud.